After three years in the oil and gas industry working a as a well-site geologist and twelve years in the environmental consulting industry working as a hydrogeologist, Dan followed his spirit and became a fitness expert. 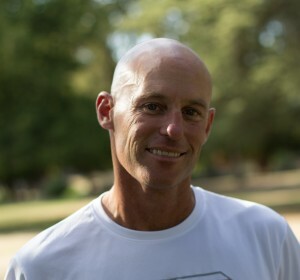 Dan is a fitness professional and has been a competitive amateur triathlete since 2002. He has participated in almost every Century Bike Ride in northern California (Napa Century, Death Ride [7x], Foxy’s Fall Century, Pardee-Party, Delta Century) and completed 10 IRON distance triathlons (2.4 mile swim, 112 mile bike, 26.2 mile run). Additionally, Dan is an expert cyclists (road and MTB), expert snow skier and snow boarder, and he has guided motorcycle tours in Thailand! Sharing his passion for fitness and leading by example is his true calling in life. By helping others improve their fitness, Dan changes lives “one at a time”! He helps others with goal setting, helps them learn proper form/technique, and teaches them how to embrace the “multi-sport” lifestyle. Specialties: Triathlon (Sprint, Olympic, 70.3, and IRON), open-water swimming, road cycling, mountain biking, running, and strength/conditioning. Services: Personalized swim/bike/run lessons, personalized training plans, life coaching/goal setting, and coached workouts for beginner thru advanced athletes interested in improving in the aforementioned disciplines.